Ecozone’s Pro-active Sports Wash is a new laundry detergent especially designed to target stubborn stains and smells associated with sports such as sweat, grass marks, clay and mud marks. The sports wash is suitable to use on specialist sportswear and work wear and it coats the clothing with an advanced odour resistant barrier, which improves the protection against the absorption of odours. This will leave your clothes smelling and feeling fresher for longer in between washes. Aqua, Laureth-9, Laureth-3, Propylene Glycol, Sodium Cocoate, Subtilisin, Phenoxyethanol, Trisodium Dicarboxymethyl Alaninate, Sodium Citrate, Zinc Ricinoleate, Parfum, Pectate Lyase, Cellulase, Amylase, Polyvinylpyridine N-oxide, CI 42051. 1) Follow the washing instructions on your clothes. 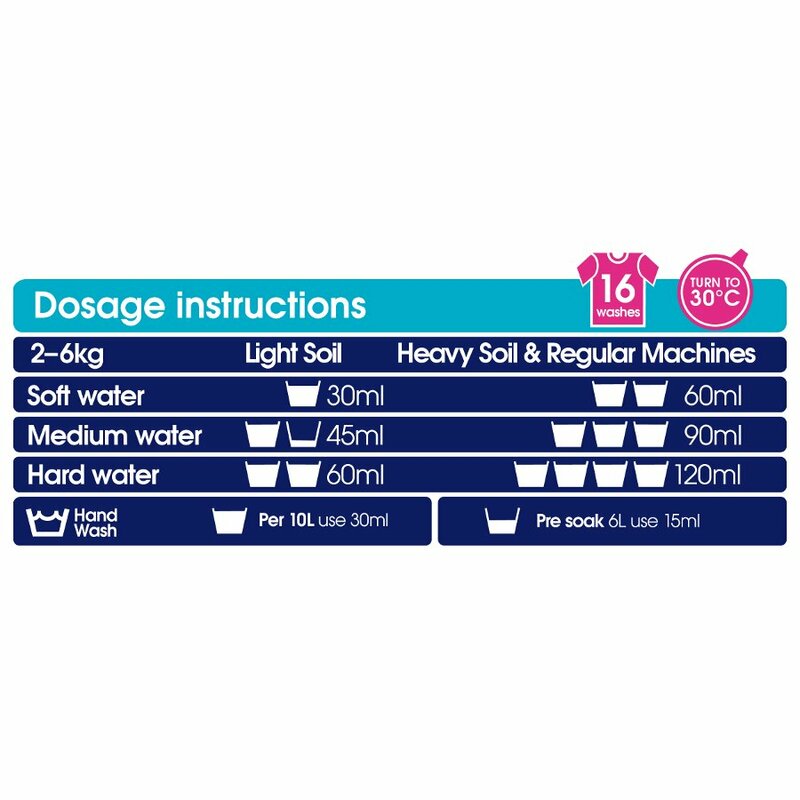 2) Use the dosage table to add the correct amount of liquid to your machine drawer. 3) Select a suitable wash programme for your washing machine. The Ecozone Bio Laundry Liquid Pro-Active Sports Wash - 750ml - 16 Washes product ethics are indicated below. To learn more about these product ethics and to see related products, follow the links below. Great product for removing odour from sports clothes- does as described! Good for pre-washing dirtier clothes. 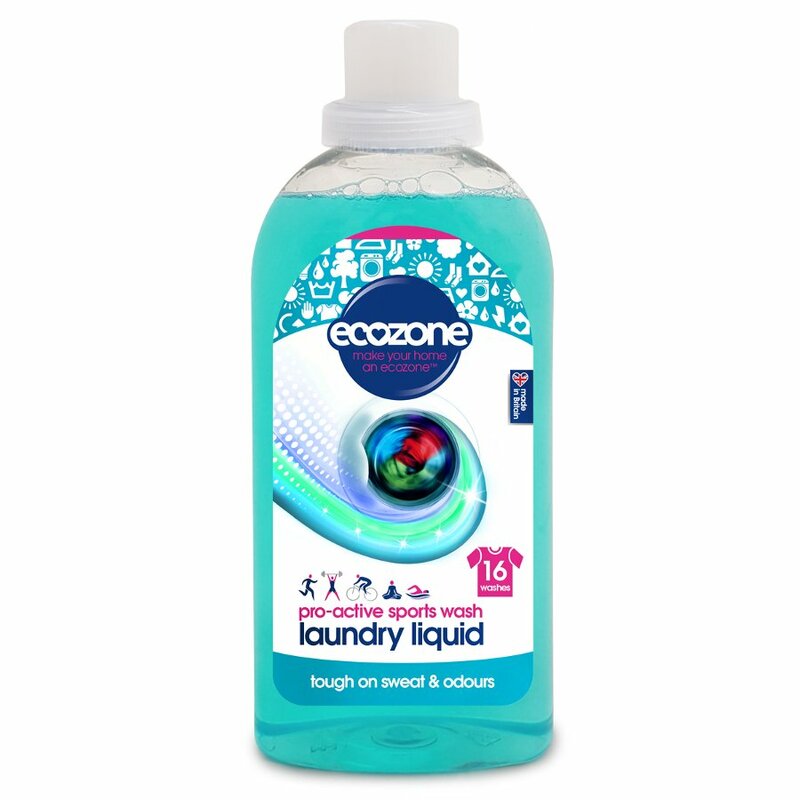 There are currently no questions to display about Ecozone Bio Laundry Liquid Pro-Active Sports Wash - 750ml - 16 Washes.